FC Barcelona’s kit for the 2017/18 season is now on sale for all members and fans. The new jersey features the name of the club’s new main global sponsor ‘Rakuten’ across the front, as does long-time sponsor Nike on the upper right part of the shirt. Some of the other details include the Catalan flag on the neck, on the inside of the right sleeve is the word ‘Força’ while on the inside left part is the word ‘Barça’. Inside the sleeve and the side of the shirt, there is a darker red stripe that expands with the players’ movements to maximise ventilation. The shorts are the traditional blue colour of FC Barcelona and also incorporate the that red stripe which improves ventilation during the game. 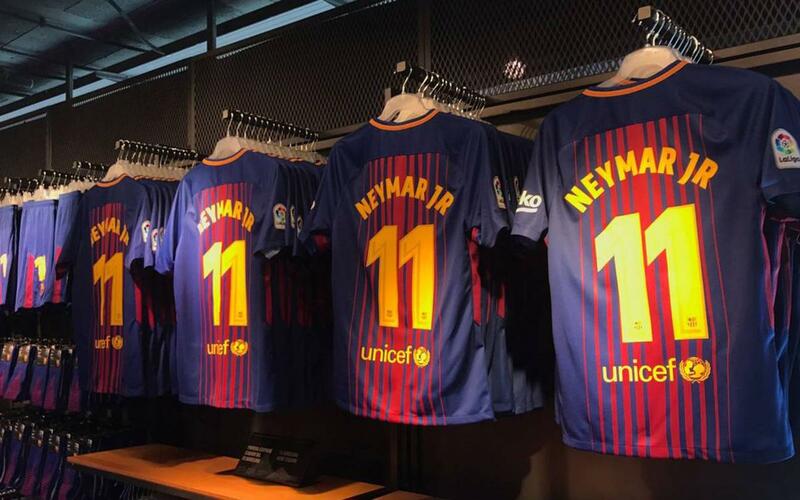 And to complete the set, the blue socks contain the word ‘Barça’ in gold on the front while on the back there is a distinctive linear pattern in red.